Christmas Cheer at Disney's Hollywood Studios! 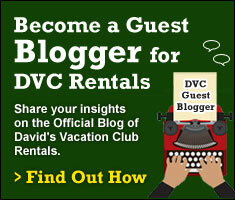 As most of you know, Disney Parks are in full swing when it comes to Christmas festivities. Actually, the day after Halloween, Magic Kingdom was already done with Mickey pumpkins and Mickey Christmas wreaths were in their place. Disney wastes no time when it comes to moving from one holiday to another, and that’s a good thing because so many guests look forward to that. 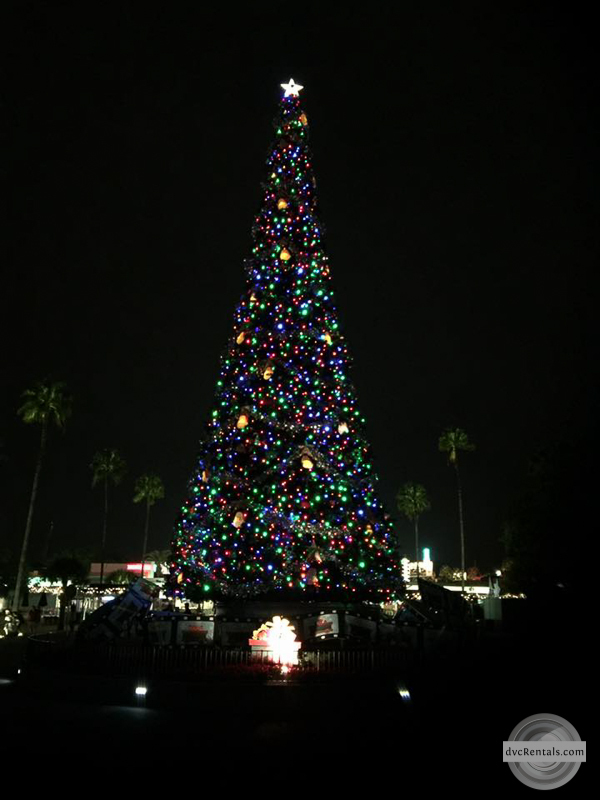 Yes, the Magic Kingdom is fully in Christmas mode, there are beautiful Christmas trees and such at the other parks, resorts, and Disney Springs… but let’s talk about Disney’s Hollywood Studios, and what they’ve done to bring the extra Christmas cheer! Last year, the beloved fan favorite, the Osborne Family Spectacle of Dancing Lights, made its final run, due to the construction that was coming for the Star Wars and Toy Story expansions. I heard so many Disney-goers express their sadness at the loss of the lights, and truly, I felt that way too. Disney is always moving forward and changing though, and the Streets of America area where the Osborne Lights were is now gone. It’s very surreal to see. However, Disney has made strides this year to make up for the loss of the Osborne Lights, and they’ve done a pretty decent job. When you walk up to the gates of Hollywood Studios, the first thing that will catch your eye is the beautiful, larger than life Christmas tree that is prominently displayed. It’s gorgeous. There’s usually a Cast Member there, taking photos for guests, which is convenient. Once you get inside the park, you’ll notice something different. This year, they have gorgeous Christmas decorations stretching across the street, along with extra lighted garland. The street posts are donned with light up décor and smaller Christmas trees for that extra holiday flare. It looks so nice! I was so impressed when I saw the changes I couldn’t stop taking pictures. Between the festive decorations and the Christmas music playing in the background, it’s sure to put you in the holiday spirit. But wait, there’s more! Also new this year, is the Christmas projection show called Jingle Bell, Jingle BAM. Being that the Osborne Lights are retired, Disney had to put in something new and fun to takes its place in the evenings. 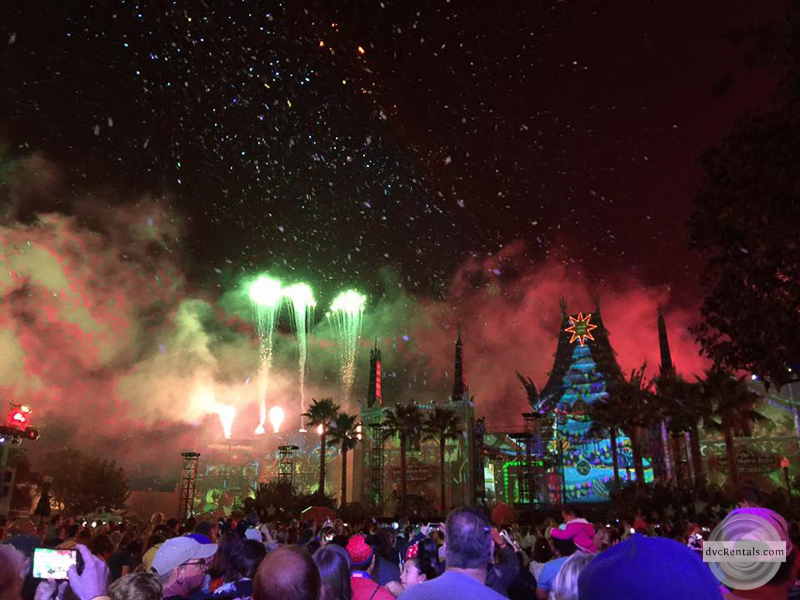 Jingle Bell, Jingle BAM combines Christmas music, lasers, fireworks, projections and magical “snow” each night. The projections are shown up on the Chinese Theater in the middle of the park, so you’ll want to stand front and center for the best view. The premise of the show is that the elves from Prep and Landing are looking for Santa Claus, and they take you on their journey with them to find him. The music is great, the effects are impressive, and the finale is amazing. You’ll definitely want to see Jingle Bell, Jingle BAM if you’re heading to the Studios over the Christmas season. It’s pretty magical! No one does it like Disney, as they say, and Christmas time is no exception. 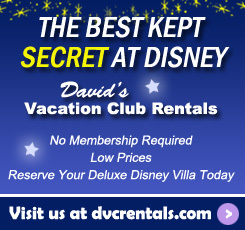 The Walt Disney World Resort has so much to offer for the Christmas season, it’s a perfect time to plan a visit. The crowds are a little higher this time of year, so make sure to keep that in mind and allow yourself extra time for your Disney days. Disney has Christmas cheer all across their parks and resorts, but stopping to see what Hollywood Studios has to offer is worth it. So, enjoy the upcoming holiday season, and give the Studios a go if you have the chance – it’s sure to get you in the mood for Christmas! Enjoy, and Happy Holidays! 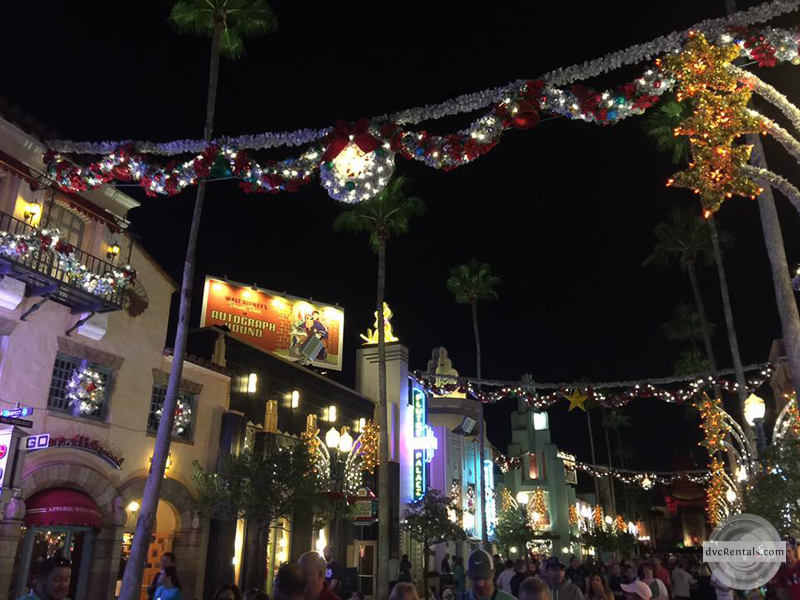 2 thoughts on "Christmas Cheer at Disney’s Hollywood Studios!"